I’m so excited for fall and Halloween. I love corn mazes, hay bales, pumpkin pie...all things fall. And I also absolutely love crafting and making decorations. So the blog homework for 10/5 from @missy and @rambo is perfectly fitting. 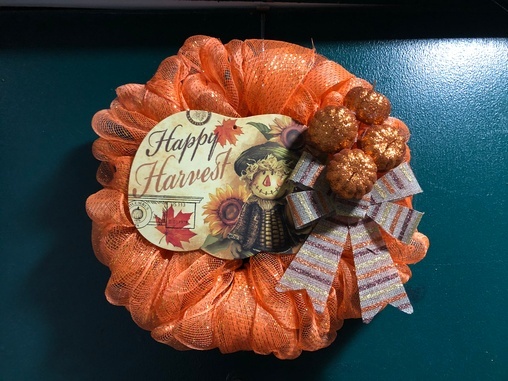 I made this cute little wreath for my front door from materials I got at the dollar tree. I like that! Simple and smart,works perfectly! Thank you all for the love and support your showing to me and my debut set. You’re all amazing!!! What do you guys wanna see? What do you find the most seductive?